Grigori Voskoboinik was born 17th of October 1970, in St. Petersburg. He began violin studies at the age of 6 and at 12, he continued his musical education with the cello. In 1986, he was admitted to the Rimsky-Korsakov school of music to study doublebass. At the present time he is a student at the St. Petersburg Conservatoire, named after Rimsky-Korsakov (professor Loukianin). 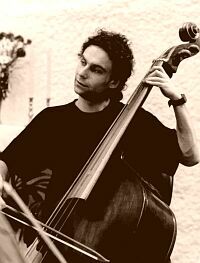 Grigori began making money when he started working in 1993 as a soloist and principle doublebass player in the Chamber orchestra "Divertisment" (artistic director Ilya Ioff). During this period from 1993-1996 he performed with different orchestras and jazz bands as a principle doublebass player, including the St. Petersburg Camerata (prof. Sondeckis) where he received a "thank you letter" from Maxim Shostakovitch for presenting D.Shostakovitch symphony op. 113 "Baby Yar" in Humburg, the Mozarteum orchestra (cond. Steinlukht) and the Leningrad Dixieland JazzBand. In 1996-1997 he played in the St. Petersburg Philharmonic orchestra (artistic director Yuri Temirkanov). Then from 1997-1999 he worked as the 3rd doublebass concertmaster in the Mussorgsky Opera and Ballet Theatre, named after the great composer Modest Mussorgsky. During that period he participated in Gary Karr's masterclass. In 1998 was first prize winner of the German Gartov Competition in St. Petersburg. Among other accomplishments he has played with St. Petersburg Chamber Players (with I. Ioff, I. Uriash, A. Massarsky, A. Ludevick). In 1997 joined as a member of the jazz band "Extra Trio Plus", who often reside at the JFC jazz club (Shpalermaya 33, St. Petersburg). Grigori's adverse musical development continues into 2000, playing in the St. Petersburg double duet "Ma.Gr.Ig.Al." (artistic director Igor Ponomarenko). In 1998 he began making recordings and music clips on TV (Grand Hotel Europe promotion project, "Hey, friend!") A clip with A.Buinov. This year he is also performing in "Kashtanka" a play performed in the "Zazerkalie" Musical Theatre, (director Petrov). While some musicians tend to lock in their styles and focus on for example rock or classical music, Grigori's diverse background has allowed him to develop a style that is unique. It is this style and taste for varieties of music that have opened doors and opportunities to play with musicians such as Vladimir Shouliakovski, Nazar Kojuhar, Vladimir Radchenkov, Grigori Varshavsky, Vladislav Pesin, Konstantin Koutcherov famous for their baroque style of play. In 1999 Grigori continued working hard and playing lots in various jazz bands like Andrey Kondakov's quartet and Marc De Mauny's ensemble. 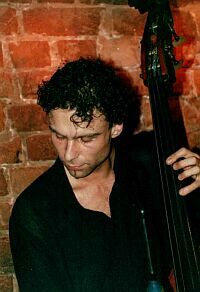 Appearing in 1999, Grigori and Andrey Kondakov played several special performances with Denis Perrie, Paul Boulenbeck, Napua DaVoy and Gary Bartz (2000-2001). This period included his participation of different musical projects and international festivals. He played in annual festivals like the 2nd Early Music Festival and Music Spring 1999 and special projects like "Bach with Us! ", a project presenting Johann Sebastian Bach's "St.Mathews Passions" in Moscow with the V.Gayvoronsky quintet (2000), and also a spiritual tribute for Duke called "We remember Ellington". Grigori's latest recorded jazz works are with Andrei Kondakov ("Kind of Optimistic", Boheme Music, 2003) and with American saxophonist Mike Ellis ("Shaman's Dance", Dialog Music, 2002). Grigori would like to thank his mom for being a mom, his dad for being his first teacher and his friends for adding something special to his life and the people who contributed to this text.